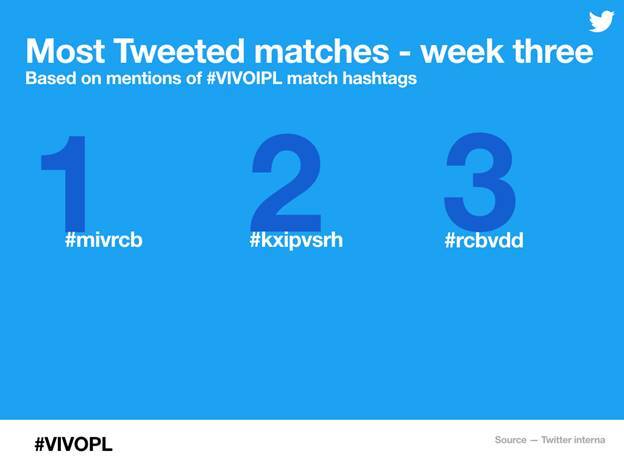 With the 11th season of the Indian Premier League underway, the IPL buzz on Twitter is heating up. 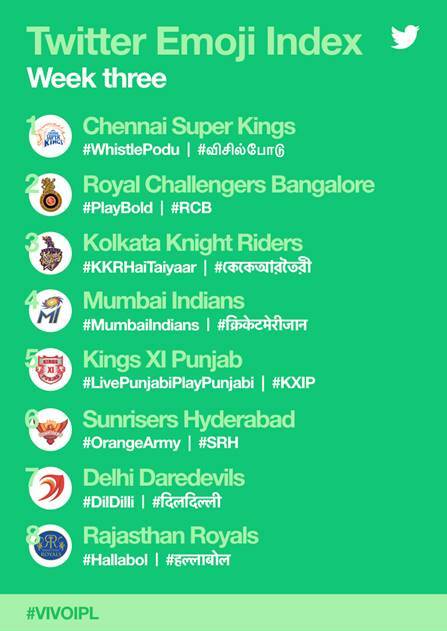 After dominating the microblogging platform during week 2, Chennai Super Kings have repeated the feat once again! 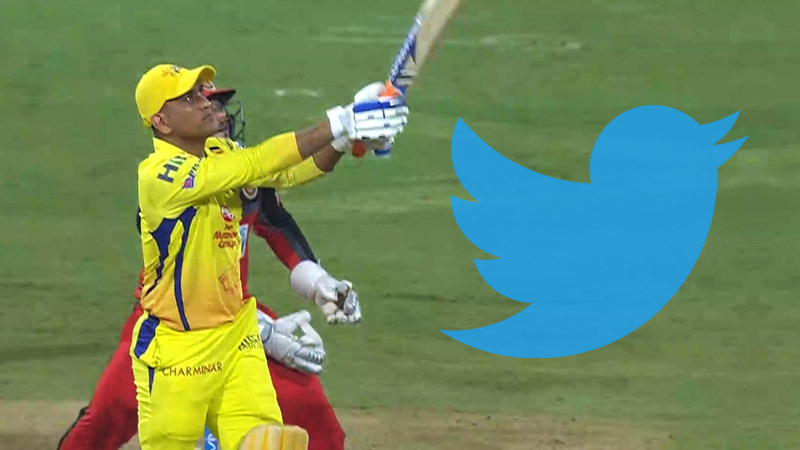 Sports fans have been kept on the edge of their seats, as a bulk of the matches have gone down to the wire with the last-over finishes, the IPL buzz on Twitter has been unprecedented. Since the start of April, there have been over 5 million Tweets on cricket from teams, players and fans alike. That’s an 81% increase in conversation volume compared with the same period a year ago! The following were the most mentioned and talked about matches during Week 3. I saved the IPL by picking – @henrygayle ??. Incredible knock @RayuduAmbati ! Another cracking win against a very good side; all close games, what a tournament the @IPL is! Next stop Bangalore ? #WhistlePodu ?? SKY’s commentators now cashing in on the @IPL. The same ones that played a major part in ending my England career. Hilarious how the IPL isn’t viewed as a tournament for mercenaries who only care about cash…! Assured all-round performance from @mipaltan ! It’s been coming! Hitman @ImRo45 goes bang-bang! ? Captains knock!? How good has @henrygayle been tonight? 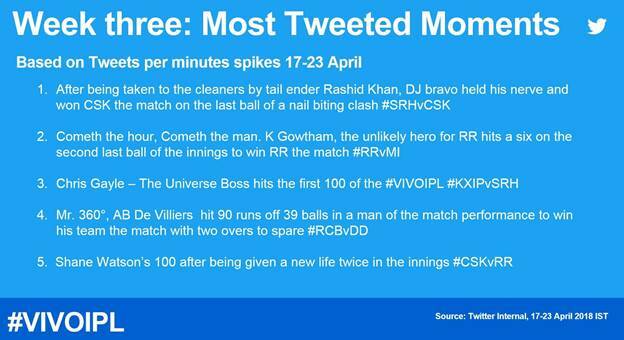 These were all the top moments that were part of the IPL buzz on Twitter this week. Stay tuned for more weekly updates.